Both Windows and Mac come with free tools for capturing whatever you see on your screen and attaching it to an email or using it elsewhere. But if you need high resolution screenshots, or want to capture video, add voice over or turn it into a brief animation, the new Ashampoo Snap 9 is a handy Windows program for doing that. 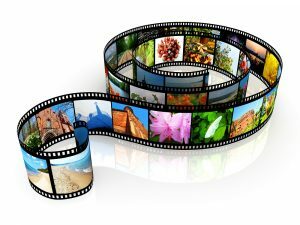 Basically anything you see on your computer screen can be captured in up to 4K resolution, which is quite sharp. Add special effects, or time the video capture for a precise start and stop, or even pause it. The program can also do “OCR” (optical character recognition). So if you want to capture a news article off the screen, for example, Snap 9 can turn the image you get into text that can be edited. (Would people ever use this to change the text to their liking? Unthinkable.) There’s a free trial of Snap 9 at Ashampoo.com. Bob astonished Joy the other day when she was working on a website for a nonprofit. The website pages all had a lavender background, yet their new logo had a block of white around it. How do you give a logo a transparent background, or one that matches the page you’ll put it on? “You can do it in Word,” Bob said, and he was right. In Word 2007 and 2010, start by calling up a picture either one of your own or from clipart. This brings the picture on to your page. On the “Format” tab at the top, choose “recolor.” Then click “set transparent color.” Now click anywhere in the background. Voila! This works best if the background is a solid color. Bing has a lot of images of Snoopy. You could create personal stationery or notepaper by simply adding Snoopy and removing any backgound box that came with by making that background transparent as we did before. 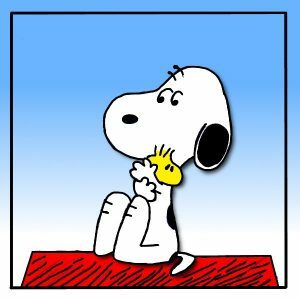 There is no problem using the Snoopy image if you are not doing it for commercial purposes, meaning not selling it or using it for advertising. Give the notepaper to your youngest relatives with self-addressed envelopes and they may actually send thank you notes, a practice that seems to have fallen out of favor. A reader said he was glad our eBay experience went well. He no longer uses them because the customers frequently don’t pay. “Too many grifters claim they don’t get the product,” he said. “Even with proof of delivery, eBay sides with them.” People buying toys often say they’ll pay top dollar if the auction is closed for their sake. Then they don’t pay. Here’s an alternative: Flipsy.com. 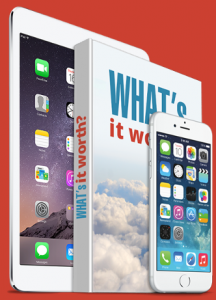 It lists dozens of alternative sites where you could sell electronics and books, putting the best offer on top. Had we checked them first, we would have seen an offer for our Samsung Galaxy S3 phone for $104 from Amazon, nearly twice as much as we got from eBay. When we cruised Amazon, we didn’t see this offer; Flipsy put it up front. After writing about the many uses for those little silica gel packets that often come with boxes of electronic stuff. We heard from a reader who majored in physics and chemistry. Creditrepair.com/blog/finance/american-currency-morph/ has animations showing the evolution of American currency. Watch George Washington’s face morph into Martha Washington’s as you see the $1 bill change from 1862 to the present. Running Antelope, an advisor to Sitting Bull, used to be on the $5 bill. “Lady Liberty” was on the twenty. “How Much Income You Need to Live Comfortably in the 50 Biggest Cities.” Google that phrase or click on the link to compare high-cost cities, like San Francisco, where they say you need $110,000 a year with low cost ones like Tucson, Arizona and El Paso, Texas, where they say you only need $40,000. Lung.org has a “state of the air” report showing the most polluted cities in America. Los Angeles is still number one, as it has been for the 16 years since this report began. If you Google “More than Half of All Americans Live in Polluted Air,” you’ll find The Smithsonian’s report. The cleanest cities are in Vermont, upstate New York and Hawaii. How much time do children spend online? Lots. Over half of kids ages 3 to 16 go online every day, according to Futuresource Consulting. Among ages 3 to 4, only 25 percent never go online, and only 10 percent of 7 year-olds. Watching funny videos are the most popular online activity in the U.S.. In China, it’s cartoons. In Germany, it’s music videos. Seventy percent of parents with children ages 3 to 12 have parental controls to restrict Internet access and provide a time limit on Internet use.